By default iLO is configured to use Date and Time information as set in the BIOS but that is not very reliable. 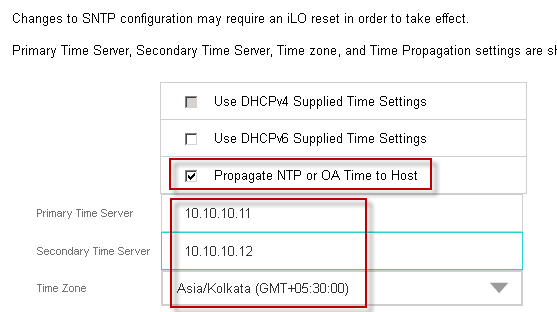 I would have expected an iLO to connect with Onboard Administrator and get the time synced and we would only make sure our OA is synced with NTP server but here HPE asks us to configure SNTP (Simple Network Time Protocol) on all the iLOs for them to reflect correct date and time. If it is one blade then there is not much effort but assuming we have 100s of blades obviously you would not login to each iLO and update the SNTP server details. 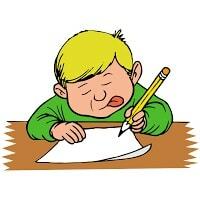 This can be performed on a large scale using Onboard Administrator. 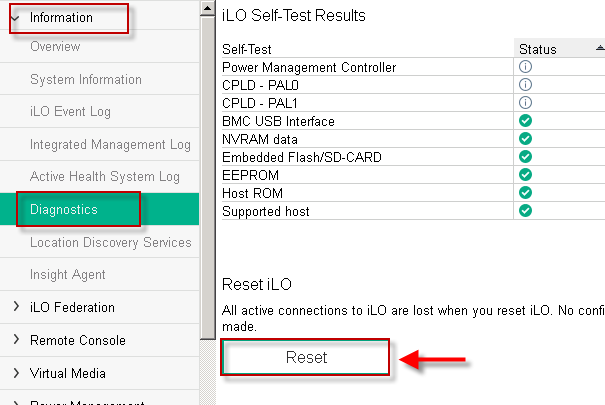 I have not validated the steps on iLO3 but as per HPE this should also work on iLO3 so attempt in your lab setup before trying this on production environment. Below RIBCL script can be used to update the SNTP values for the iLO, here replace the fields highlighted with yellow with the values as per your environment. Bay 11: RIBCL results retrieved. 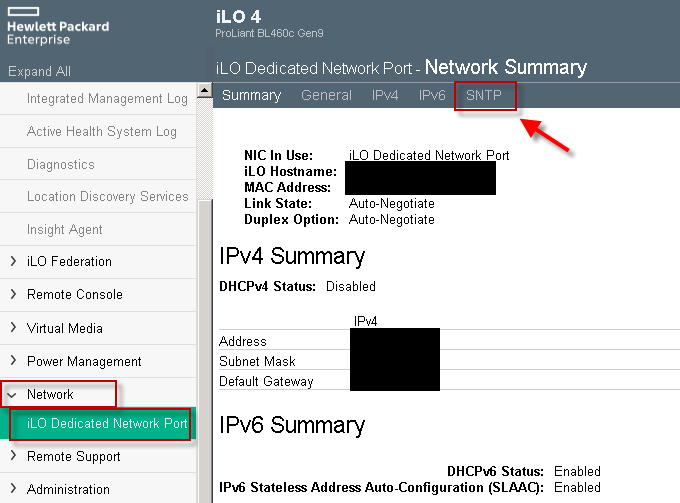 You can also configure SNTP manually using the iLO4 web page.